The “Notes of Dr. Smith’s Rhetorick Lectures,” discovered in 1958 by a University of Aberdeen professor, consists of lecture notes taken by two of Smith’s students at the University of Glasgow in 1762–1763. There are thirty lectures in the collection, all on rhetoric and the different kinds or characteristics of style. 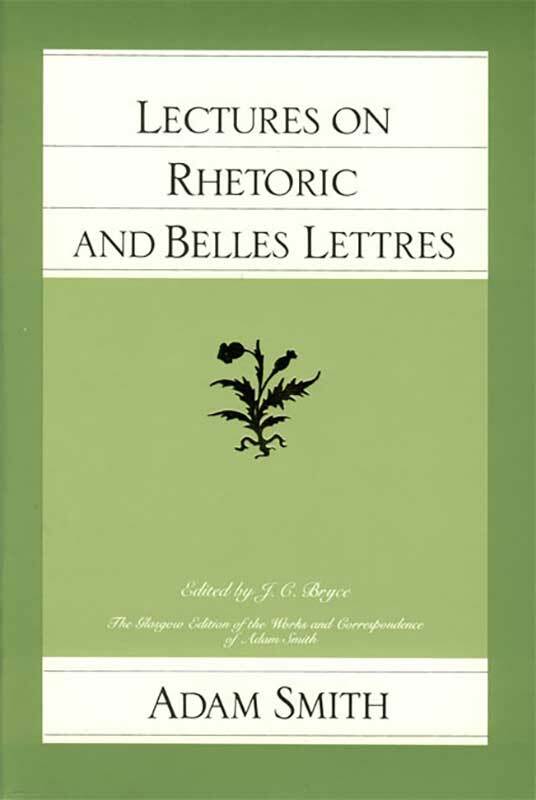 The book is divided into “an examination of the several ways of communicating our thoughts by speech” and “an attention to the principles of those literary compositions which contribute to persuasion or entertainment.” The species of communication discussed include descriptive and narrative (or historical) composition, poetry, demonstrative oratory, panegyric, didactic or scientific language, deliberative oratory, and judicial or forensic oratory. The subjects addressed in his teachings include the style and genius of some of the best of the ancient writers and poets, especially the historians and the English classics.